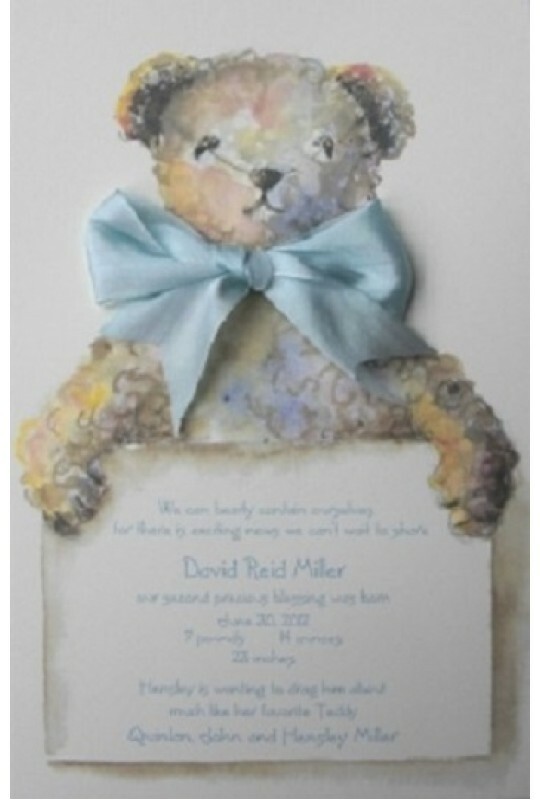 This is a beautiful way to send an invitation for a baby shower, birthday or announce the arrival of your new baby. 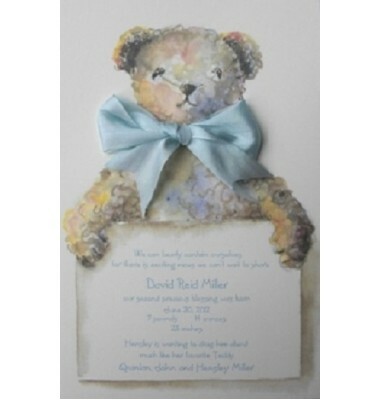 Your wording is printed on an ecru background and a beautiful light blue silk ribbon is tied at the Teddy Bear's neck. Envelopes are included.